for a Fast Free Quote!! 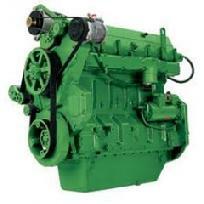 John Deere Factory Remanufactured Engines availabe with JD Warranty. Complete Engines or Long Blocks in most models. 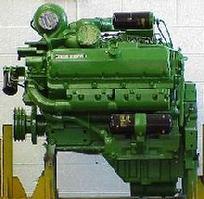 New Surplus John Deere engines available in some models. 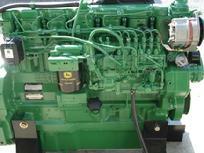 Remanufactured John Deere Engines: As Good as New but Cheaper. Learn The Advantage of Robust Performance! Robust performance and exceptional reliability are the defining advantages of Remanufactured John Deere Engines. In nearly every respect, these powerful engines yield as much efficiency as new ones. The ingenuity of lJohn Deere engineers reflects in the impressive discharge of raw power that maintains its consistency to full effect. 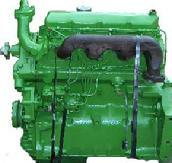 Current and previous users of these engines have remarked fondly about their qualities of dependability and durability. Clearly, the resolve to upgrade the general performance of the remanufactured engines shows in the enhanced levels of output, which often surpass the buyer's expectation. Despite the fact that these engines perform on the same level as new ones, they cost much less in comparison. In both the short-term and long-term, you get to save significant amounts of money without compromising on quality, performance and reliability. The technical merits of these engines derive from the spirit of innovation and close attendance of the manufacturing details, which define the attitudes and practice at John Deere engineering plants. The combined advantages of the state-of-the-art technology and a highly trained workforce have contributed greatly to the uplifting of the quality of John Deere engines. In every respect, buying these special engines translates to real value for money. Every detail of the remanufacturing process for John Deere Engines is inclined towards the highest quality standards. Besides, the operations and systems are designed to achieve the quality of versatility. Considering the enhancements that take place during the remanufacturing proceeses and the technical superiority of these engines, it is always more convenient to buy these engines than any other alternatives. The intentions of the efficiency reinforcement processes is to reinforce the output by improving all the enablers of engine power. Overall, the remanufactured engines are truly remarkable with regard to the twin merits of high performance and affordability. John Deere 6076 Remanufactured, built to specs. 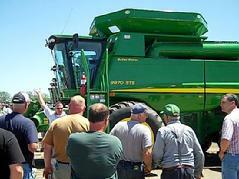 John Deere 4270 - Call now to build to your specs. 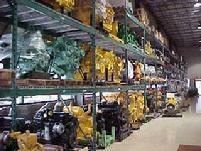 TOO Many Engines to list, make sure to call National Power Supply the industry leaders in new, used and remanufactured engines experts. Please have your John Deere Model Number and SERIAL number to expidite your call back. John Deere 4045 SEVERAL IN STOCK ! Work completed with pride in the U.S.A.
Save Money over local cost (even with transport costs)!